Chapter VI. Open University and Distance Education: Open University and distance education have been designed to promote the accessibility of education at higher stage as well as making higher education as flexible as is required by the learners. (i) The Indira Gandhi National Open University should initiate action for its academic programme. (ii) The courses should be structured on a modular pattern with the facility for the accumulation of the credits. Provision will be made for transfer of the credits from the formal to the non-formal system and the vice-versa. (iii) Standards should be prescribed to determine the minimum level of learning at every stage of education and criteria will be evolved to objectively assess this level of attainment so that the opportunities should be provided to all including housewives, agricultural and industrial workers and professionals to continue their education. (iv) State Governments should ensure that Open Universities will be established after very careful planning and requiring available resources and facilities. Chapter VII. 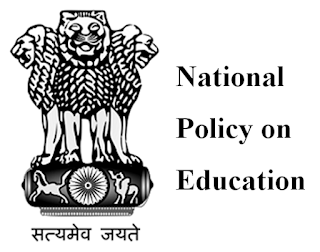 Rural Universities and Institutes: The National Policy of Education of 1986 and its Revised Policy of 1992 envisaged that the rural universities and institutions should be developed in rural areas after studying the needs of such pattern of educational institutions in rural communities as well as also strengthening the programme of Gandhian Basic Education. Chapter VIII. Technical and Management Education: Regarding the Technical and Management Education system, the policy stated that technical and management education system should be clustered with reference to the interrelated objectives, priorities and programmes of the key functional areas like development of human resource development spectrum with great potentials for adding values to products and services and for contributing to the national economy and improving quality of life of the people. Chapter IX. Making the system work: The National Policy of Education and its Revised Policy which is known as Programme of Action referred to the necessity of introducing discipline into the present system of education. 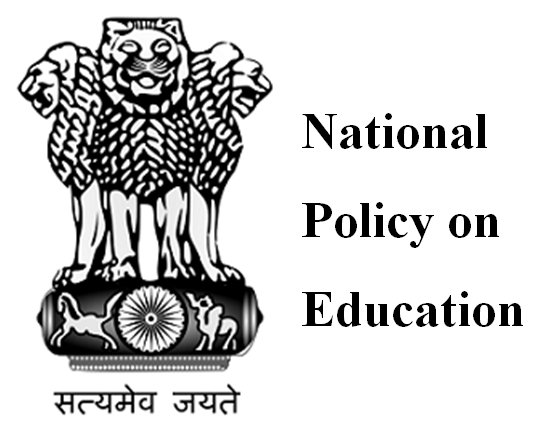 It had also been referred to by the NPE and POA that the teacher’s accountability towards the profession should be developed on behalf of improving the students’ service and the behaviour of the students should be promoted in accordance with acceptable norms; and also better facilities for the educational institutions should be ensured in order to derive the performance of the institutions. Chapter X. De-linking of Degrees from Jobs and Manpower Planning: The National Policy of Education and its revised policy envisaged that some job-oriented degree courses as well as skill oriented courses should be made for promoting human capital in the state as well as in the nation. Chapter XI. Research and Development: In National Policy of Education and POA, the stress was laid on research as an essential component of higher education because of its role in creating new knowledge and insights imparting innovations and dynamism to the educational process. (ii) to promote women’s studies as a part of various courses and to encourage the educational institutions to take up active programme to further women’s development. (iii) To create dynamic managerial structure to cope with the targets envisaged. (i) The socio-cultural milieu of the STs had its distinctive characteristics including, in many cases, their own spoken languages. This underlines the need to develop the curricula and devise Instructional materials in tribal languages at the initial stages, with arrangements for switching over to the regional language. (ii) Educated and promising Scheduled Tribe youths should be encouraged and trained to take up teaching in tribal areas. (iii) Residential schools, including Ashram Schools, should be established on a large scale. (iv) Incentive schemes should be formulated for the Scheduled Tribes, keeping in view their special needs and life styles. Scholarships for higher education should be emphasized for technical, professional and para-professional courses. Special remedial courses and other programmes to remove psycho-social impediments should be emphasized to improve their performance in various courses. (v) Anganwadis, Non-formal and Adult Education Centres should be opened on a priority basis in areas predominantly inhabited by the Scheduled Tribes. (vi) The curriculum at all stages of education should be designed to create an awareness of the rich cultural identity of the tribal people and also of their enormous creative talent. (viii) Constant micro-planning and verification should be ensured in the context of enrolment, retention and successful completion of courses by SC students, and provision of remedial courses should be provided in order to improve their prospects for further education and employment. (xiv) Suitable incentives should be provided to all the educationally backward sections of the society, particularly in the rural areas. Hill and desert districts, remote and inaccessible areas and islands should be provided with adequate institutional infrastructure. Chapter XIV. Minorities Education: Article 29 and Article 30 of the Constitution guarantee the right of minorities to conserve the lanquage, script and culture and to establish and administer educational institutions of their choice whether based on religion or lanquage. The NPE and POA had addressed the problems of the minorities. As the minority groups are educationally deprived or backward, therefore grater attention should be paid to their education of these groups in the interest of equality and justice. Simultaneously, objectivity should be reflected in the preparation of textbooks. In all school activities and all possible measures should be taken to promote an integration based on the appreciation of the common national goals and ideals, in conformity with the core curriculum. i. Wherever it is feasible, the education of the children with motor handicaps and other mild handicaps will be common with in the education of the normal children. ii. Special schools with hostels will be provided, as far as possible at district headquarters, for the severely handicapped children. iii. Adequate arrangements will be made to give vocational training to the disabled. v. Voluntary effort for the education of the disabled will be encouraged in every possible manner.